It was a wet and windy Thursday in South Florida, but it's not over yet for the eastern coast of the United States. After passing about 200 miles east of Miami, Hurricane Irene is churning at Category 3 strength toward the North Carolina coast. A hurricane watch has been issued for from the Virginia/North Carolina boarder north to Sandy Hook, New Jersey, in addition to a hurricane warning already in effect for parts of the North Carolina coast and the northwestern Bahamas. 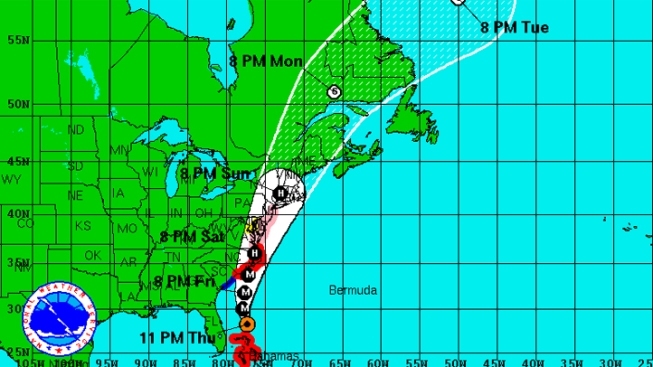 Irene is forecast to approach North Carolina on Saturday. Tropical storm watches and warnings are in effect for parts of South Carolina and North Carolina. As of the latest 11 p.m. NHC update, the system remained a Category 3 storm with maximum sustained winds of 115 mph as it moved north at 14 mph. With the threat of Irene gone, Thursday night was a time to get back out and enjoy what South Florida is all about. "Everywhere on the eastern seaboard is going to be impacted by this very dangerous hurricane," said Bill Read with the NHC. 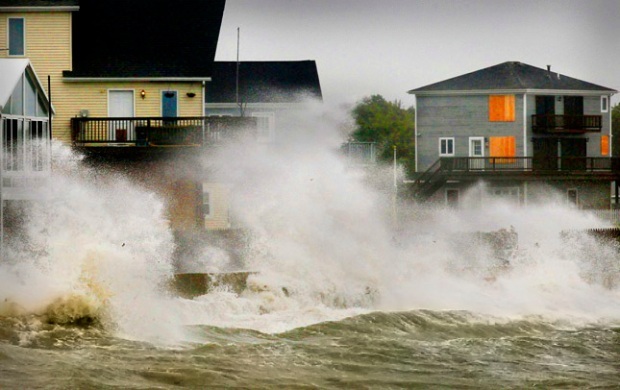 Hurricane force winds were extending outward from Irene up to 80 miles from the center and tropical storm force winds were extending up to 290 miles. Meanwhile, a new tropical depression that will likely become a tropical storm has formed in the Atlantic. The depression's maximum sustained winds were around 35 mph as it moved west-northwest at 12 mph about 505 miles west of the southernmost Cape Verde Islands.